Generally, people buy wine for three different reasons: to chill and unwind after a hard day’s work, to entertain family and friends at a dinner party, or to serve to wine connoisseurs like themselves. 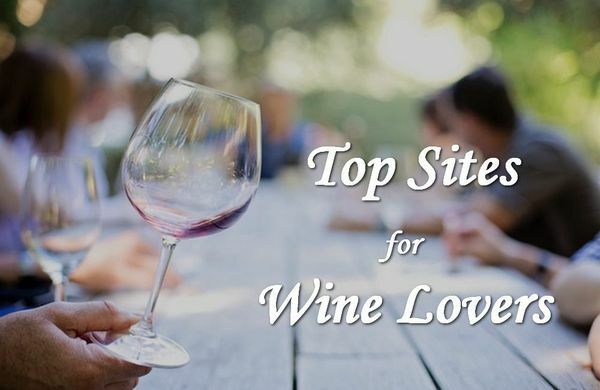 For these purposes, it’s a good idea to be informed of the top sites for wine lovers. Is a favorite among wine lovers because the site is easy to navigate and informative. Not only is there a wide variety of wines, it tells potential customers which wines are on special, new arrivals and offers. In the offers section, wine lovers get a detailed description of the wine’s history and bouquet. Offers red and white wines and champagne from all over the world. You can look up a particular wine in the search bar, or browse an alphabetized list. When you click on the wine of your choice, you’ll get the wine’s history: when it was introduced, the country of origin, the producing winery, it’s reputation, the alcohol level, and its price. Started out with a garage sized shop and has grown into a wine merchant with a portfolio of 143 wine producers of 15 regions in France and Italy. When you become a member of the wine club, you’ll receive a choice of hand-selected wine imports, their profiles and tasting notes, and which foods to pair the wine with. Comes recommended if you’re new to wine drinking and would like to learn more about the various wines and their origins. You can either look for a particular wine on your own, or you can enlist the help of Casey. Simply scroll down on the homepage, click on ‘Chat with Casey’ and within seconds you’ll be on your way to a more informed decision. Makes it easy for its customers to select a bottle of wine. On the home page you’ll be presented with two sections: ‘Best Buys’ and ‘95+ Rated’. In the Best Buys section, you’ll find a selection of wines that fit everyone’s budget. The 95+ Rated on the other hand concentrates on the better wines with a higher price tag. Is almost an educational site for people who don’t know the difference between a Bordeaux and a Riesling. At the Truly Fine Wine website there is a ‘University’ tab, perfect if you’re new to wine drinking. You’ll learn about the various regions, grape varieties, as well as food and wine pairing. When you land on K & L Wines, you might think that you just landed in wine heaven. Either that or you’ll feel overwhelmed by the sheer variety of choice. More than 4700 American wines, more than 3500 French wines, over 600 Italian wines … you’ll be sorry that life is too short to try them all. Where it comes to wine sites, each and every one of them has something to offer and in the end, it’s just a matter of preference. really helpfull . nice blog. I LOVE THIS INFORMATION..GOOD BLOG.